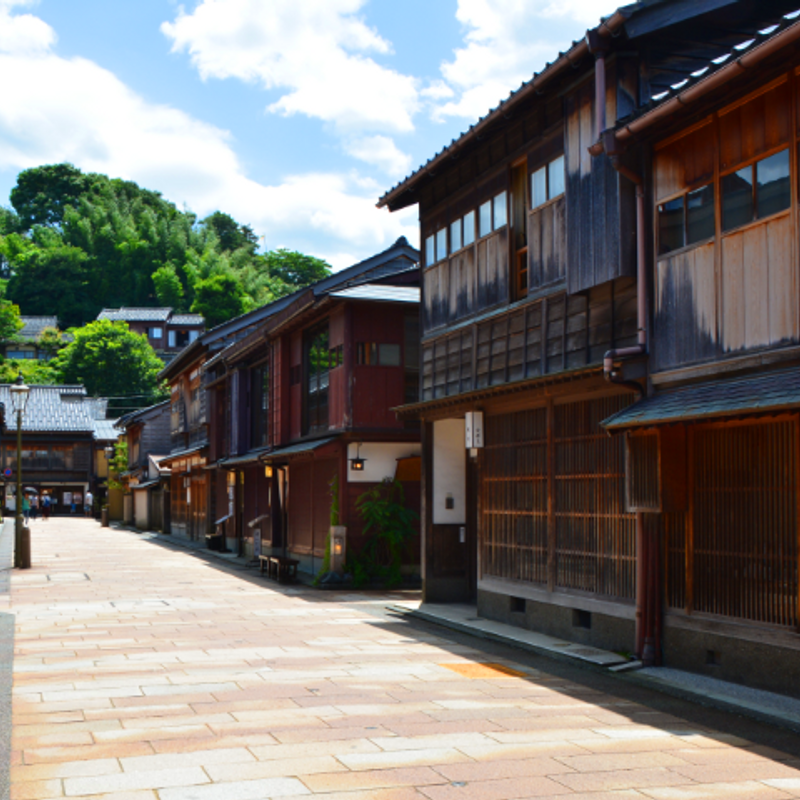 Kanazawa is the capital of Ishikawa prefecture in the center of Japan. Lately it becomes more and more popular with tourists also coming from oversea, not only because of the famous Kenroku-en Garden (兼六園) which is classified as one of Japan's "three most beautiful landscape gardens". The city has three old tea house districts called Higashi Chayagai (東茶屋街), Nishi Chayagai (西茶屋街) and Kazuemachi Chayagai (主計町茶屋街) where up to today Geisha are still working and entertain you in the night. But even when you are there at day time, you can enjoy your stay. With this article I take you with me to the first mentioned district: the Higashi Chayagai. 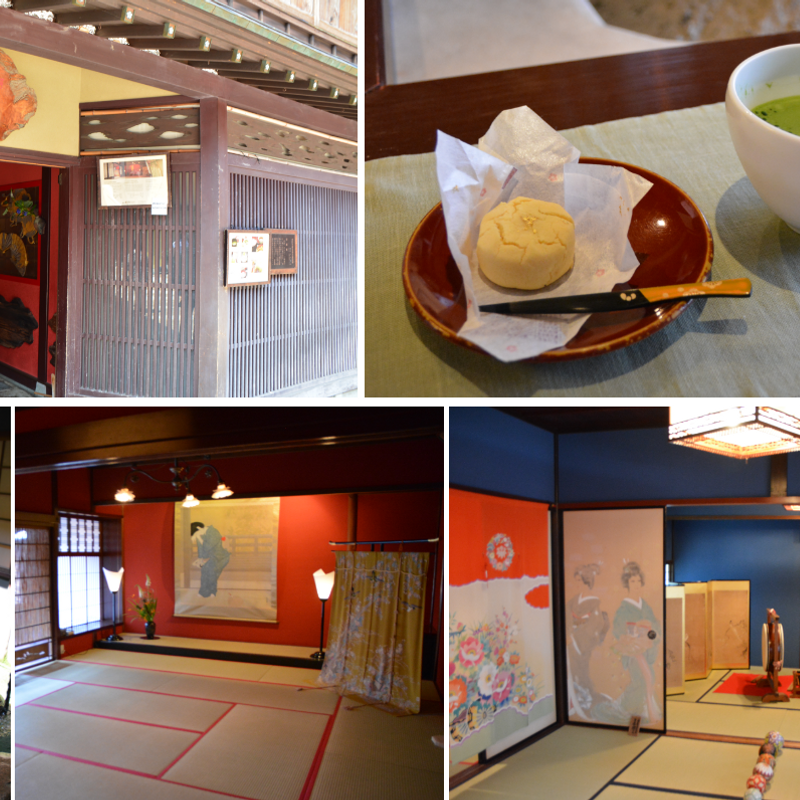 Dive into the unique atmosphere of the tea house districts while working through the old wooden houses and take a break with a delicious green tea. 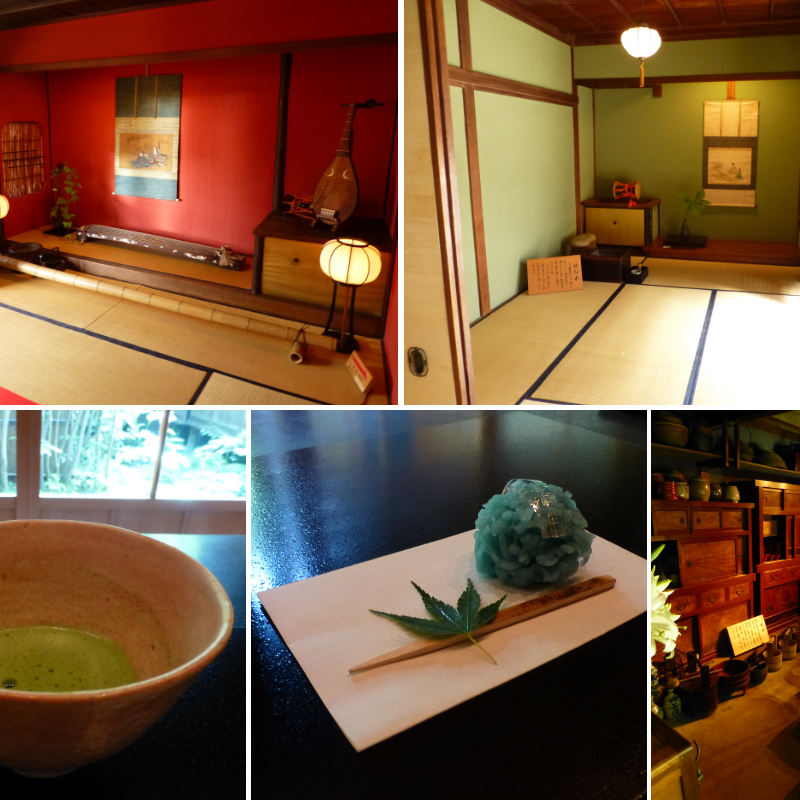 Built in 1820 the Shima Tea House (志摩) has a history of nearly 200 years. Nowadays it became a museum and expect only the electric lighting and modern toilets the building remains much the same as when it was built. It has been designated as important cultural property by the Japanese government. The admission is 500 yen for adults and you can take a look around freely. At the tea room you can enjoy a cup of Matcha for some extra money: 500 yen with dry confectionery or 700 yen with fresh-made sweets. The staff was pretty nice, taking photos of the costumers upon their request. I also met some nice Japanese women there and had a nice conversation with them. A wonderful experiences together with a green tea. Just a few meters down the street you find the Kaikaro Tea House. It was built the same time as the Shima Tea House, but it is much bigger, being the largest chaya of the district. 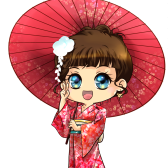 Even nowadays the tea house is still operating and you can enjoy unforgettable nights with a Geisha parties. On day time you can take a look through the rooms with many details and get a light impression of the past time. The regular admission is 750 yen. At the huge tatami room you can enjoy the café menu which gives you some options, even in combination with the admission fee. The menu is available in English, too. I decided for a set of cold matcha and wagashi (traditional Japanese sweets). The cup of matcha which was cooled down with an ice cube was very delicious. Because Kanazawa is famous for gold leaves the top of the wagashi was decorated with some sparkling gold pieces. My visit to the tea districts of Kanazawa was really great and I can totally recommend you to take a look there, too, if you are in the area.